Following an incredible morning of whale watching, we made our way to Mendenhall Glacier, located just 12 miles from downtown Juneau. 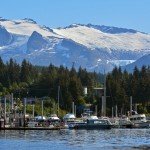 If you’re on a cruise, rather than booking an expensive excursion, opt to take the $8 shuttle to and from the recreation area from downtown Juneau. 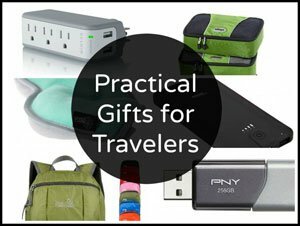 This way you can spend as little or as much time as you want! 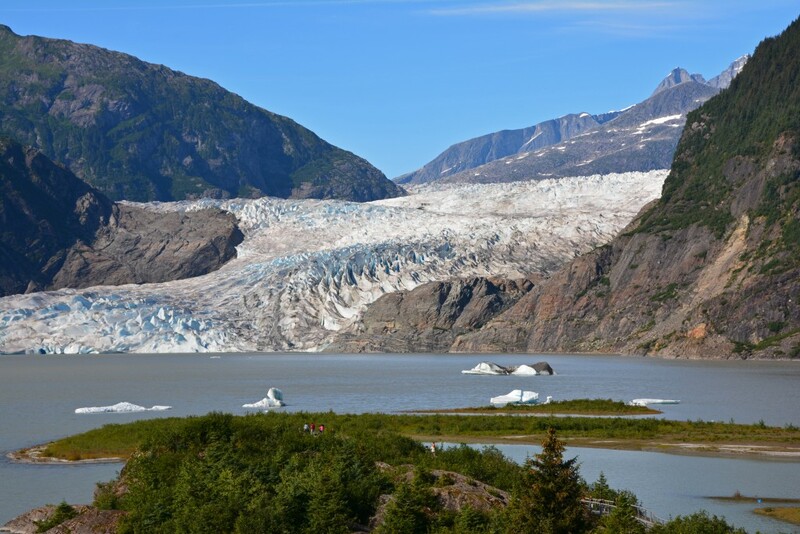 This massive glacier is 12 miles in length, reaching its end at Mendenhall Lake, a lake actually formed by the recession of the glacier. 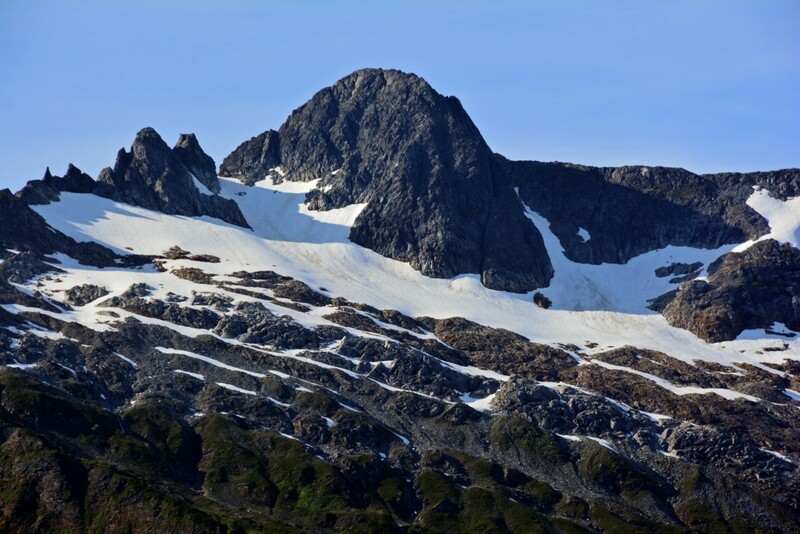 Glaciers are formed when snow builds up year after year when the rate of falling snow surpasses melting snow. Over time, the new snow compresses the existing snow, and the weight causes the bottom layer of snow underneath to turn to ice. 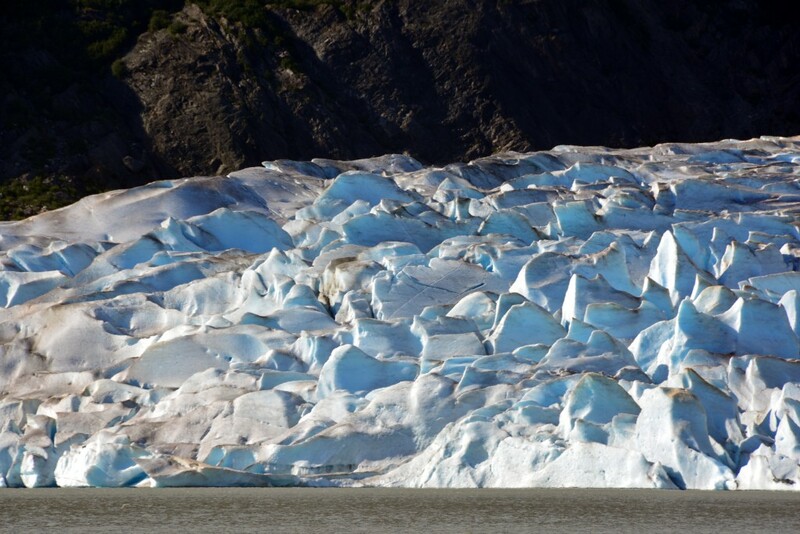 As more snow piles on (for sometimes thousands of years); the ice gets compressed so much that the air is forced out and the glacier’s color appears to be blue. 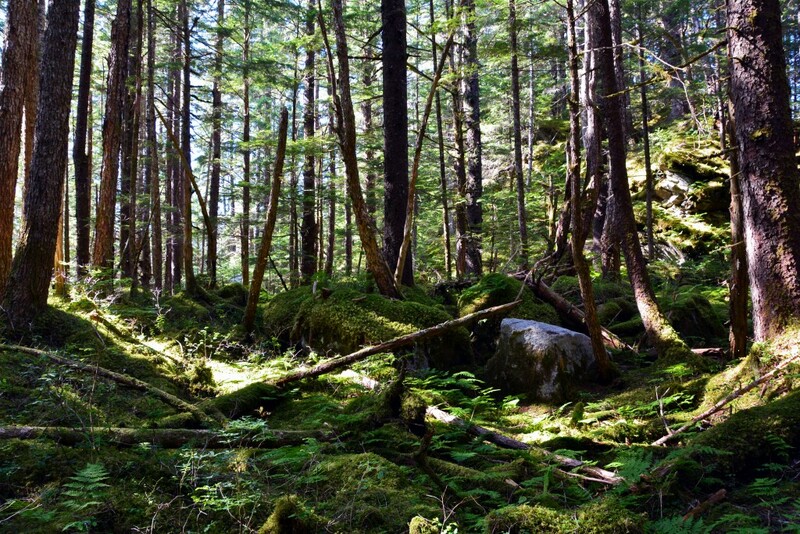 The Mendenhall Glacier Recreation Area is a great place to get out and explore nature! 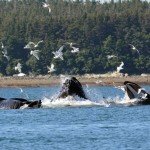 With beautiful scenery and abundant wildlife, it’s easy to spend a few hours exploring this picturesque region near Alaska’s capital. 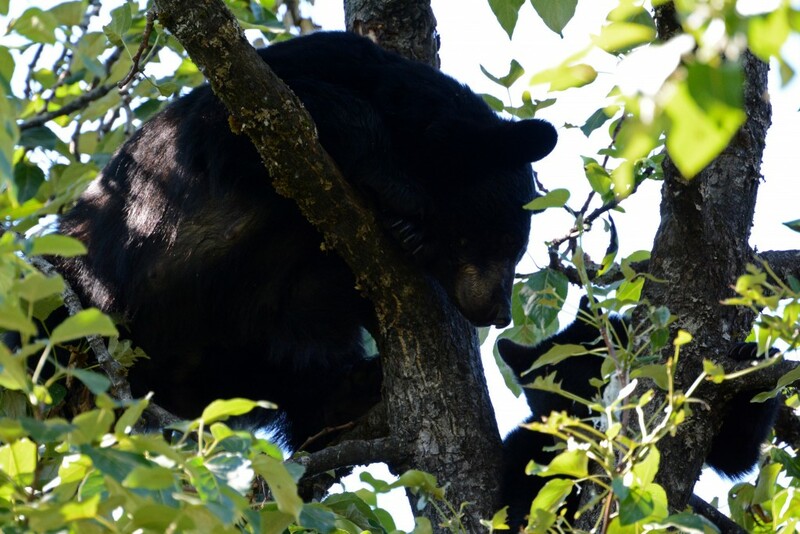 During a brief walk on the boardwalk trail, located just off the parking lot, we spotted this momma bear and her cub up in a tree! 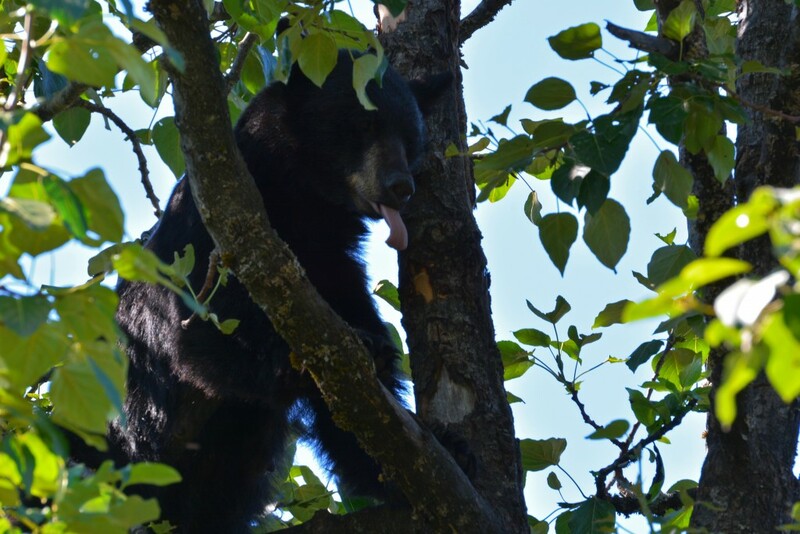 Silly bear sticking out her tongue… I had no idea their tongues were so long! 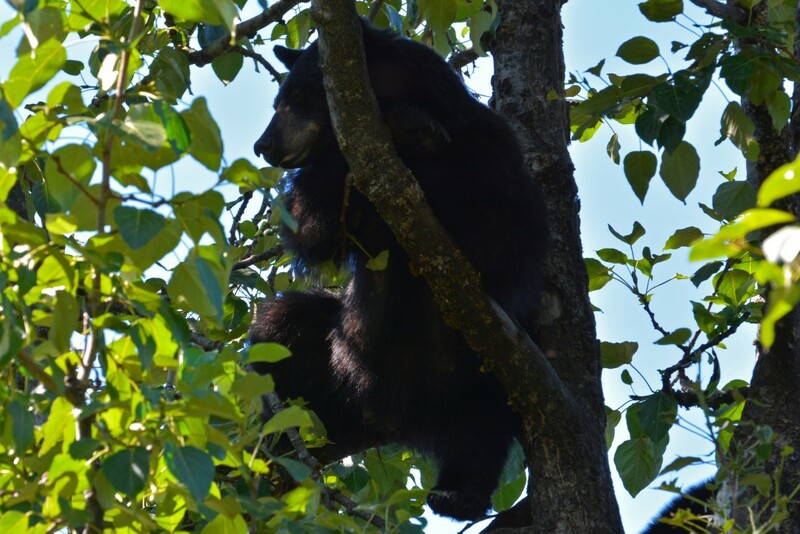 This position certainly didn’t seem comfortable, but she sure seemed content! 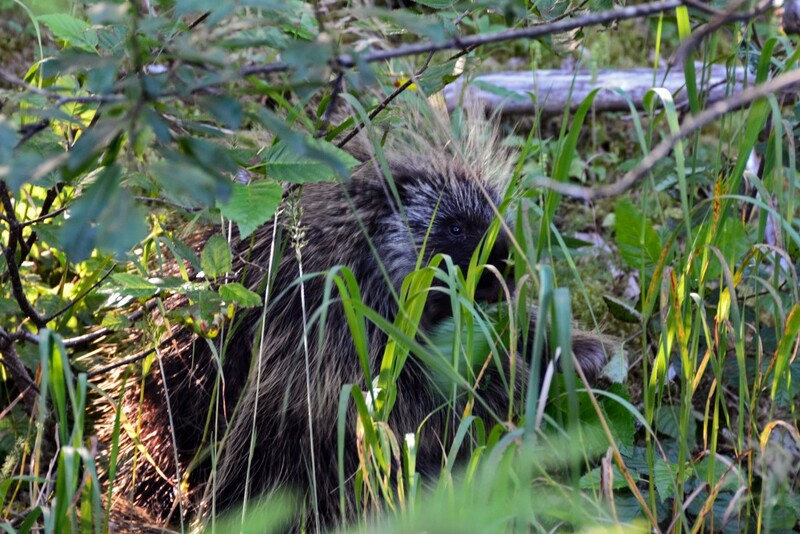 We also spotted a porcupine. 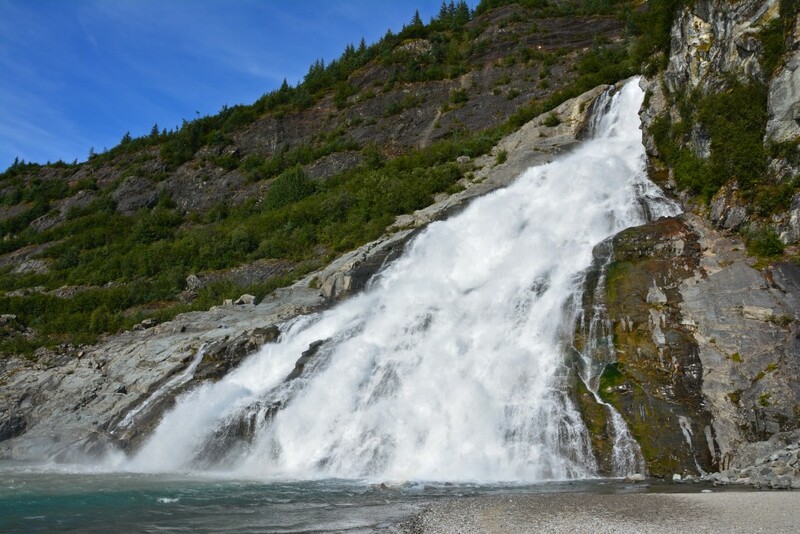 Nugget Falls cascades 377 feet (115 m) onto a sandbar in Mendenhall Lake. 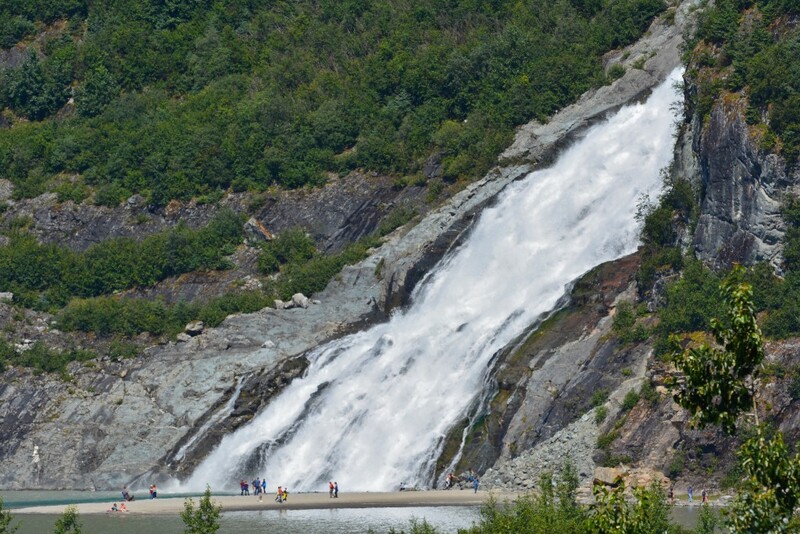 Make sure your visit to Mendenhall Glacier is long enough to walk to the base of Nugget Falls. 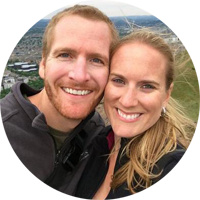 The walk will take you approximately 20 minutes (each way), so allow an hour, which includes time for pictures! 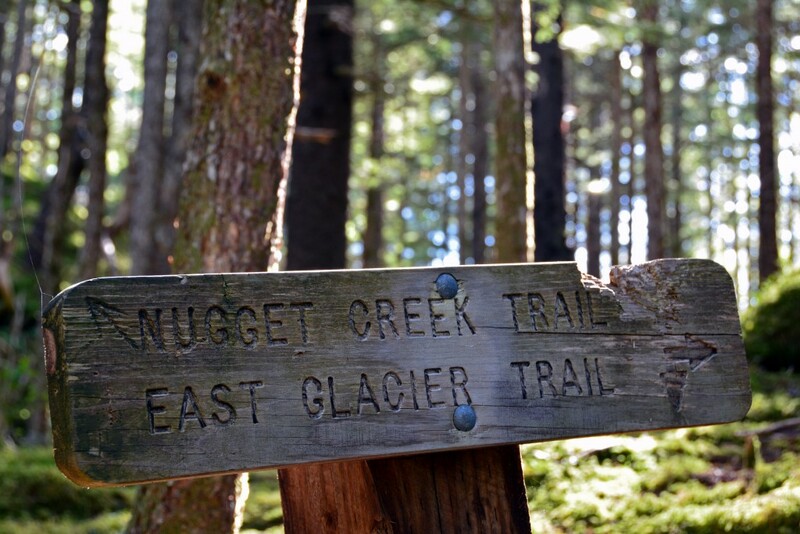 In addition to the short walk to and from the base of Nugget Falls, we did a 3.5-mile round-trip hike on East Glacier Trail. 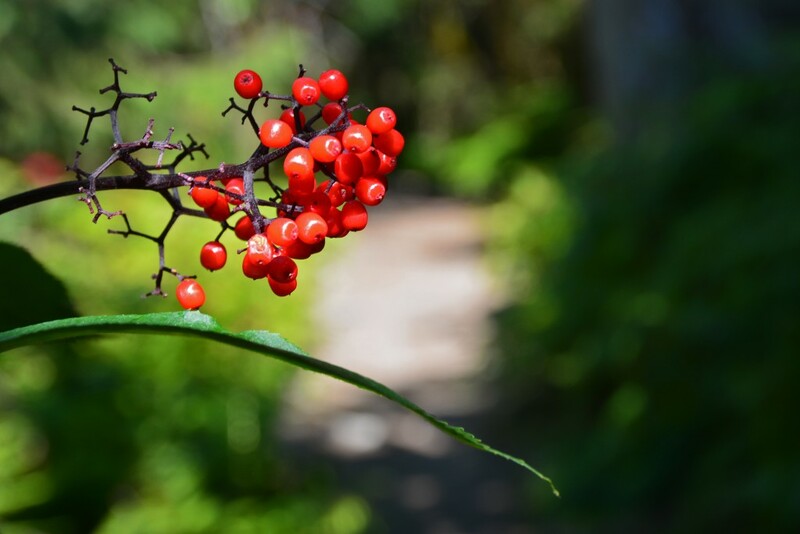 The trail itself is 2.8 miles, but when coupled with a portion of the Trail of Time hike, starting from the rear of the visitor’s center, the total length is 3.5 miles. 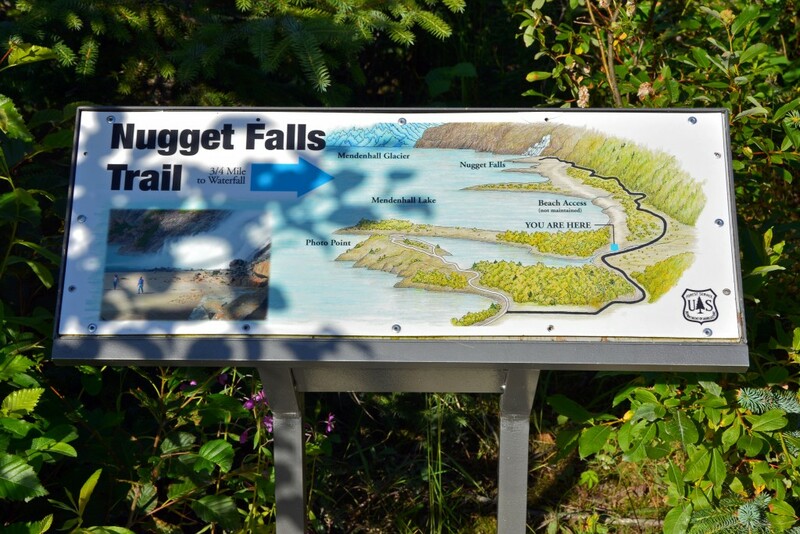 We strongly recommend you start at the trailhead closest the visitor’s center, so you are climbing uphill at the beginning and downhill for the second half of the hike. 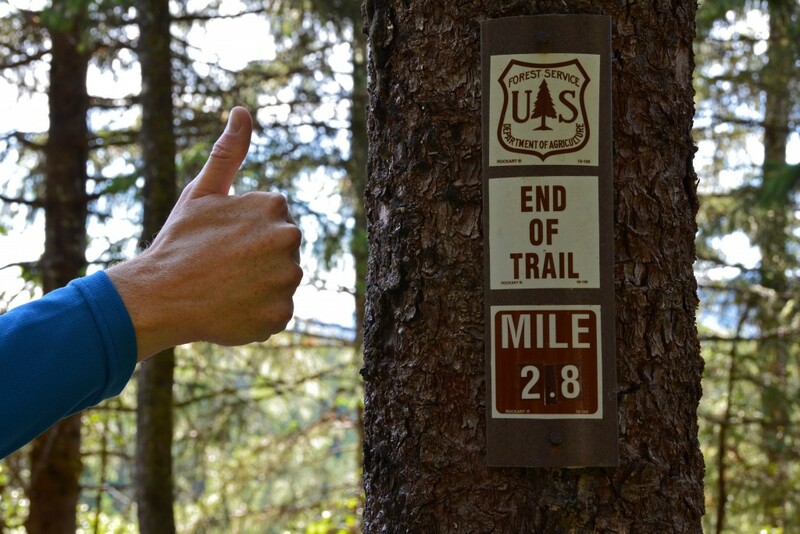 Trails Map adopted from US Department of Agriculture- Forest Service website. 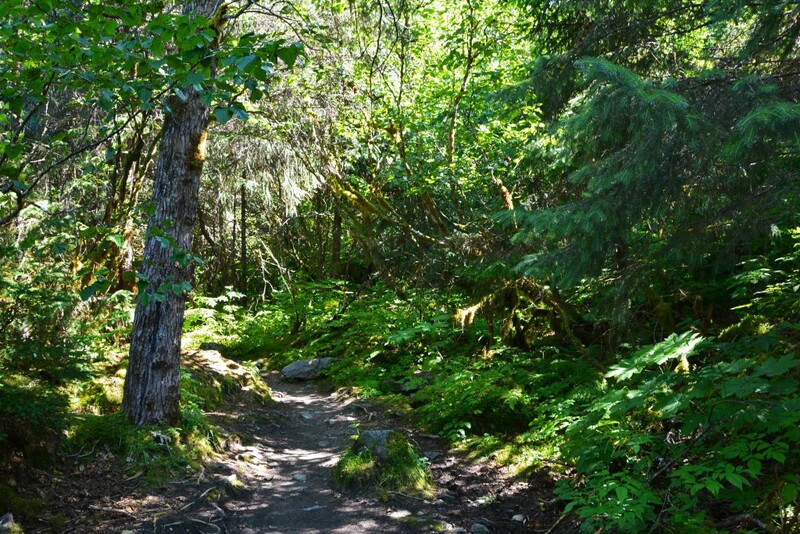 In our opinion, the trail doesn’t offer too many scenic look-outs, but the beauty for this trail lies within the forest. 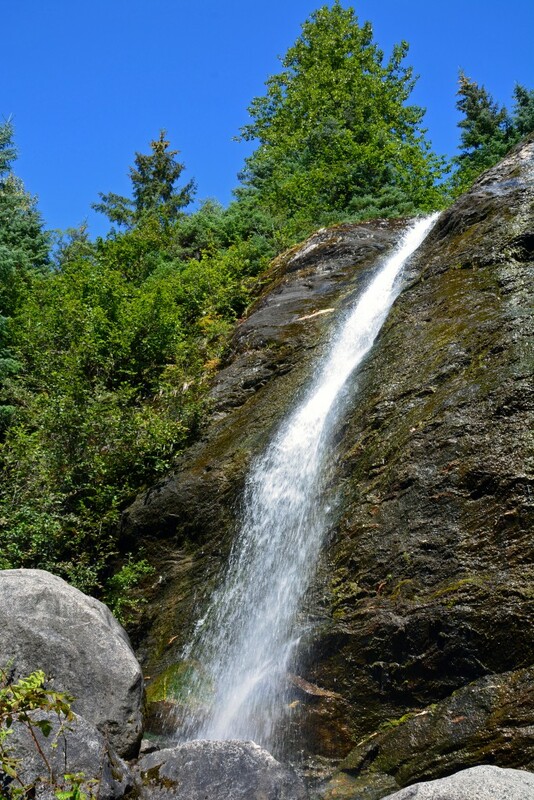 AJ Falls is located on a little off-shoot from the main trail and is well worth the detour! This is one of a few scenic overlooks on the trail. I would advise against the “scenic overlook” off-shoot (unless you want an added workout), as it’s no more scenic then what you saw just a few hundred yards earlier on the trail. The trail itself was breathtaking. 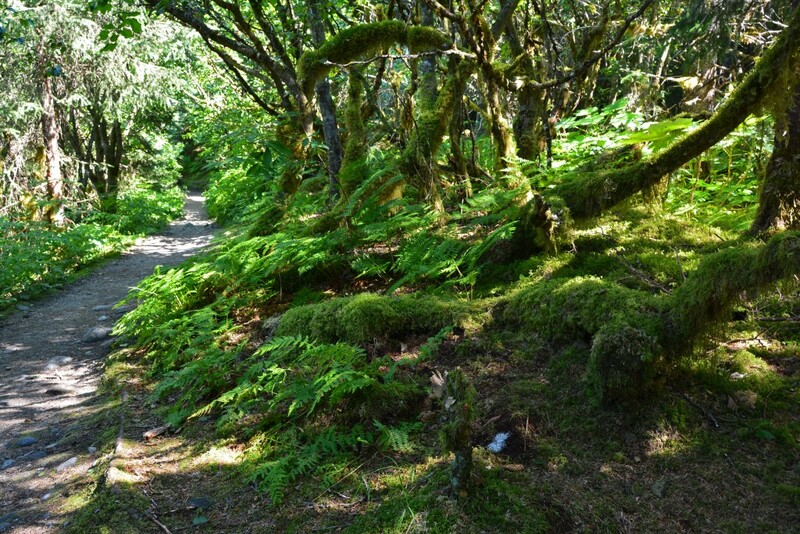 Green, fluffy moss covers most of the forest floor, providing a magical, enchanted forest feel! 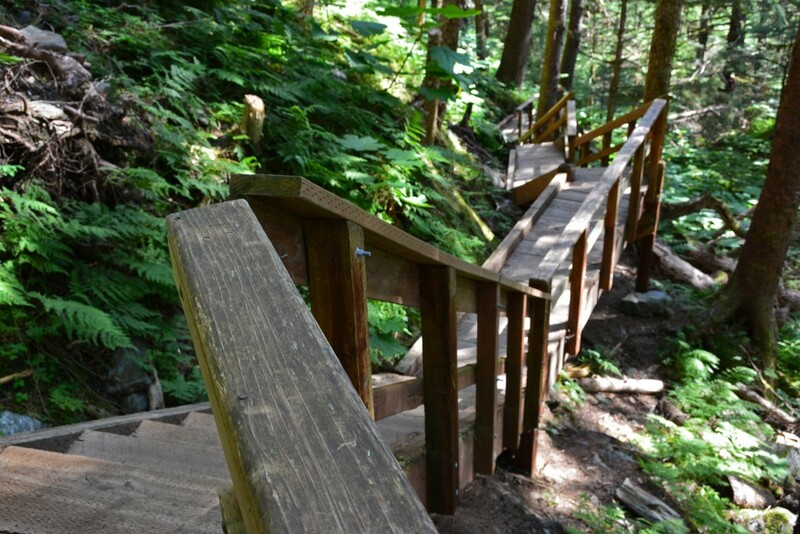 These are just some of the 200+ stairs located along the trail. Again, unless you want to climb UP the stairs, make sure you start your hike at the back of the visitor’s center on the first trail turn-off. Although it was an absolutely gorgeous and exhilarating hike, we were glad to see this sign! After a morning of whale watching and an afternoon exploring the area surrounding Mendenhall Glacier, we were exhausted! However, we couldn’t have asked for a better day in Juneau (see video from our entire day below)! 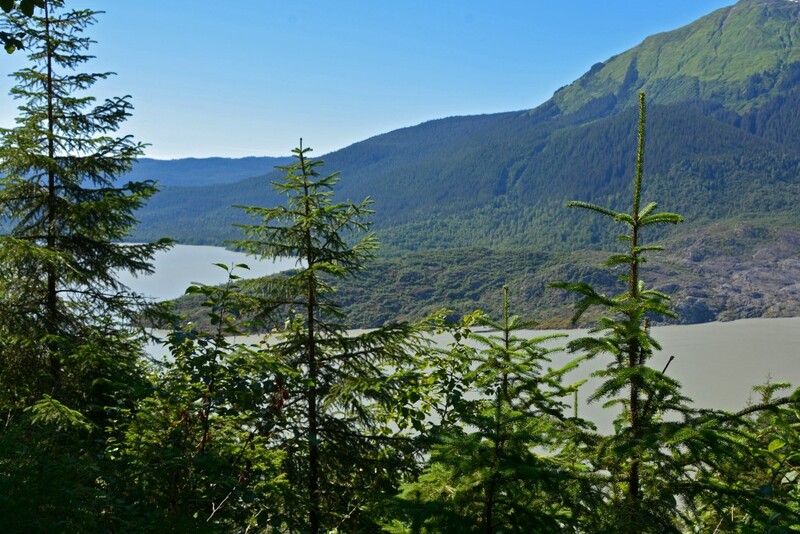 Mendenhall Glacier Recreation Area is open from 8 a.m. – 7:30 p.m. Sunday through Saturday during the summer months (May-September) and from 10 a.m. – 4:00 p.m. Friday through Sunday during the winter months (October-March). The area is closed to visitors during the month of April. 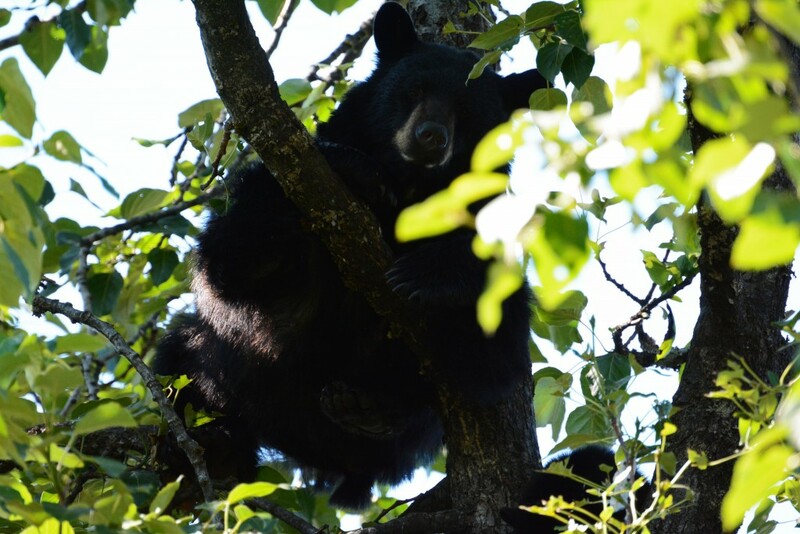 For up to date information and to plan you visit, please go to the Forest Service’s website. 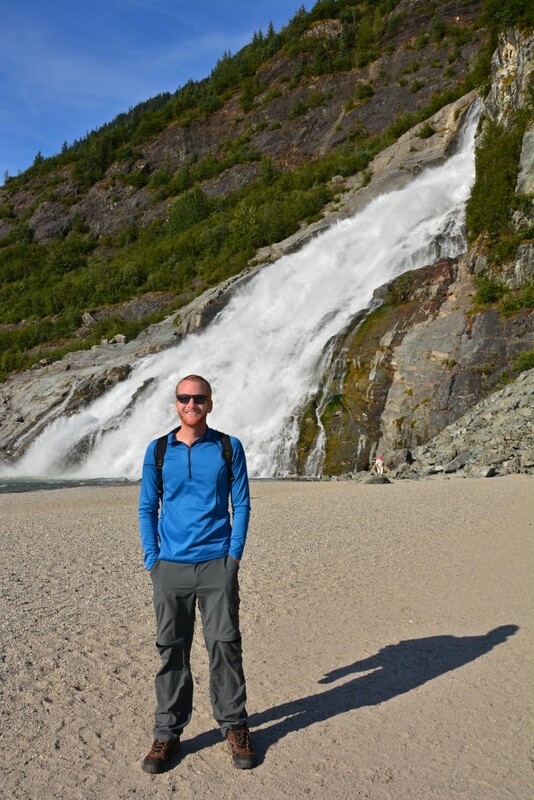 Check out a quick video of our trip to the glacier below! 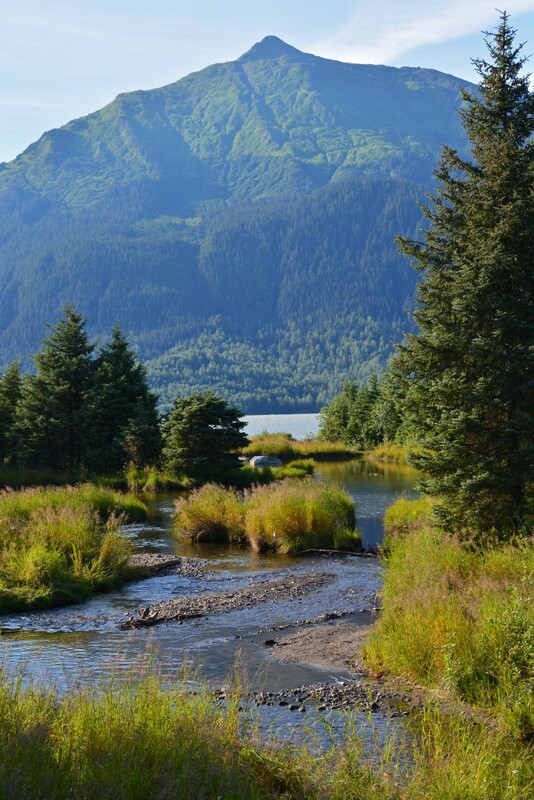 This is one of the few places in Alaska I haven’t seen yet and would love to explore. You were so lucky you had a sunny day because I keep on hearing from our clients it rained continuously when they were in JNU. Love the movie btw! For whatever reason, we usually have good weather karma! The crew on our cruise ship kept saying how we really lucked out on the weather the week of our cruise. Thank you for sharing your experience and tips. 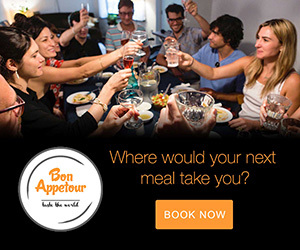 Can you provide more info on the shuttle option? 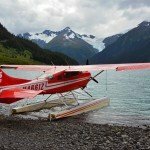 I’m heading to Alaska next week and the cheapest shuttle option I have found from town to Mendenhall is $45 per person. It’s the Blue Glacier Express Bus. 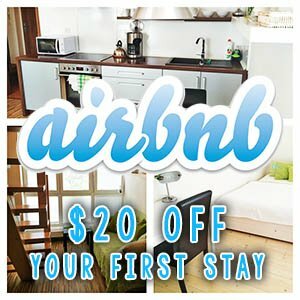 It should cost $8/per person (each way) and will take you from the base of Mount Roberts Tramway to Mendenhall Glacier and back. 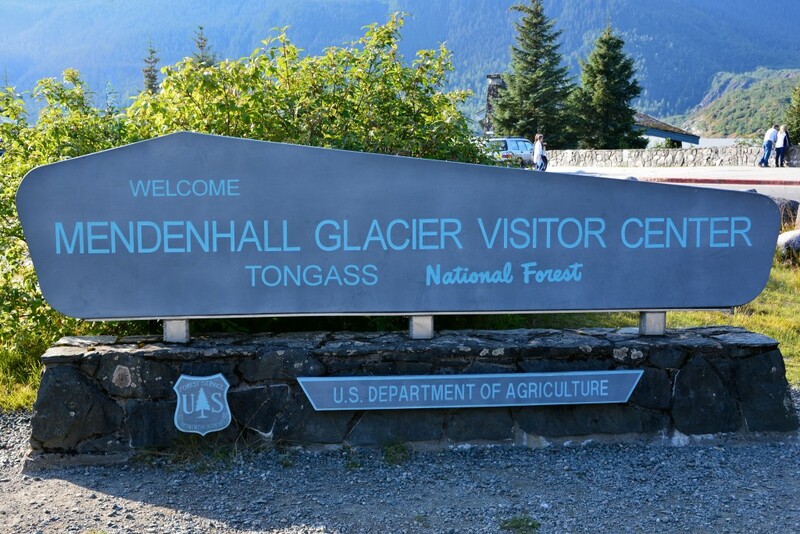 Be on the look out for tour booth selling tours in Juneau and locate the booth with the sign that says “Glacier Express”. Hope this helps!